Holiday Gift Guide – Zen Class Travel Organizer Review and Giveaway. One of the biggest hassles for me whenever I travel is getting all my travel essentials in one accessible place…..Trying to keep all you need at hand can make your trip a lot easier and enjoyable. Well doing so is easier to say than doing it. I have tried different bags and organizer, but have not been able to get everything quite the way I wanted. Zen Class Organizers patented tray table mounting feature allows you to display and access all your trip essentials, keeping them within arm’s reach throughout your trip. I have to say that I was really happy to try this product especially with the holidays around the corner and traveling out of the country is a big possibility for us, so this really handy organizer would be a great tool for our next trip! The Zen class organizer features Phone/PDA pockets, three large zip storage pockets, three spacious mesh security pouches, insulated cup/bottle holder with magnetic top closure for added security and Space for netbooks and eReaders like Kindle and Nook, document Pockets: Six credit card/id slides, ticket pocket, passport pocket, cash/checkbook pocket, magnetic top closure flaps for easy access to travel documents, cash and credit cards. The organizer also features a convenient carry handle with adjustable, cushioned shoulder strap. The organizer is really light weight and easy to carry around. 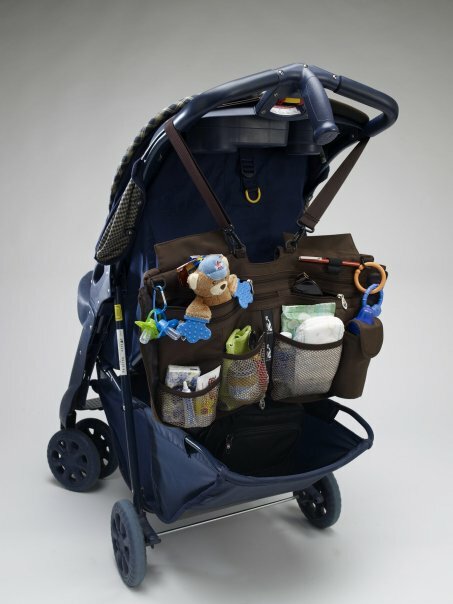 You can have it open to see everything you have in there and just zip it to carry everything around.The best part is that the Zen Class organizer is very versatile and can also be used in the car, and even as a stroller organizer! The Zen Organizer Measure: 8.5″W x 11.5″H x 3.5″D closed; 19.25″Wx11.75″H open. And it is made of Shell: 100% polyester microfiber; Lining: polyester microfiber and nylon mesh and retails for 39.99. Zen Class has kindly offered one lucky Born 2 Impress reader, the chance to win a free Zen Class Organizer. To enter this giveaway, please “ like” Zen Class on Facebook and then visit : www.zenclasstravel.com and tell me which one is your favorite Zen Class product. This is mandatory to participate. 2 entries Grab the Holiday Gift Guide . You can find it on the top of the right hand side column. 1entry- Grab the Born 2 Impress button. 1 entry- Follow me on Twitter and Tweet about this free giveaway up to once a day! 1 entry- Become a friend on Facebook- Link is on the right hand side bar. 1 entry- subscribe to my feeds. 1 entry- Subscribe to my Newsletter. 1 entry – Post this giveaway on your Facebook and post the link here. 1 entry- Follow me through Networked Blogs. 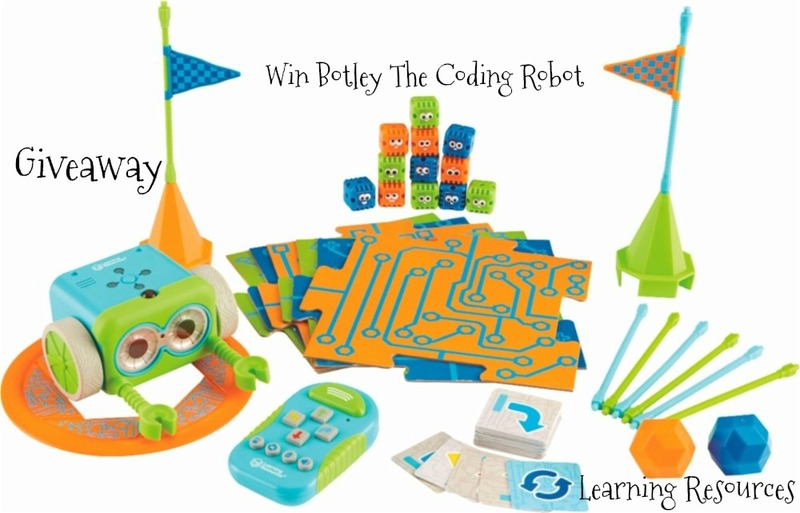 1 entry – Blog about this free giveaway and post the link here. 1 entry- Enter my other giveaways and post 1 comment for each one you entered. 2 entries-Submit this giveaway to a giveaway site and let me know which one. Want more extra entries? Post about this giveaway in any other network you are active and post the link here. Please post one message for each extra entry. Giveaway ends November 15th at midnight Eastern Time. Contest open to U.S. Residents with a valid street address. No PO Boxes please. Winner(s) are selected randomly through the use of random.org unless otherwise noted and will be announce on the contest closing date. To claim your prize(s), you must contact Born 2 Impress within 48 hours of the contest closing Prize(s) not claimed by (48 hours) will be forfeited and a new winner will be selected in a live giveaway. Please provide a valid email address to be informed in case you do win a giveaway. We have a winner: True Random Number Generator Min: 1 Max: 224 Result:194 Powered by RANDOM.ORG. Congratulations: susan ! Please contact me within the next 48 hours to claim your prize. would be the perfect travel accessory for me! I hate a cluttered car! Entry # 2: I subscribe to your newsletter. Entry # 3: Entered the Baby Eggi giveaway. CORRECTION: Entry #3 = entered the Organized World giveaway (didn’t realize the Baby Eggi was expired). Sorry about that. I like the NIRVANA SEATBACK TRAVEL ORGANIZER – BLACK LEATHER. I entered the BEARPAW giveaway. I entered the George Foreman giveaway. I entered the GummyLump giveaway. I entered the Milson Road giveaway. I entered the Sanlori giveaway. I entered the Lime Tree Cove giveaway. I entered the Baby Star giveaway. i love the nirvana seatback travel organizer in black microfiber. 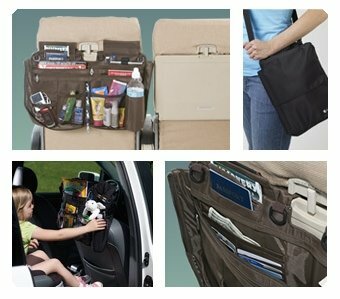 like Zen Class on Facebook eileen r.
Id love the Seatback organizer the best! I entered the Montrail giveaway. 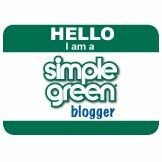 I liked on FB and follow your blog. I also entered the Boba Bbay Carriers giveaway And I’m a follower! I also entered the Bear paw giveaway And I’m a follower! 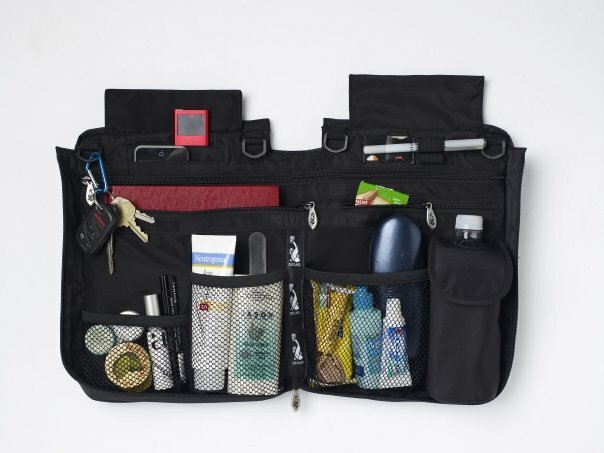 I Like Zen Class on Facebook and my favorite product is the NIRVANA SEATBACK TRAVEL ORGANIZER – BLACK MICROFIBER. I’m a friend on Facebook. I subscribe to your feeds. I follow you through Networked Blogs. I entered your GummyLump Giveaway. I entered your Baby Star Giveaway. I entered your Little in the Middle Jeans Giveaway. I entered your Perricone MD the Best Anti Wrinkle Cream Giveaway. I entered your BEARPAW Giveaway. I entered your ShooShoos Giveaway. I entered your Joseph Allen Designs Giveaway. I entered your Breyer Horses Giveaway. I entered your Boba Baby Carriers Giveaway. I entered your Lifestudio Mobil Plus External Hard drive Giveaway. I entered your EasyWalker QTRO Stroller Giveaway. I entered your Skagen Designs Giveaway. I entered your Britax Marathon 70 Car Seat Giveaway. I entered your Medela Pump In Style Giveaway. Like Zen Class on FB under Ashley Smith and my fave product is their travel organizer in the black leather.